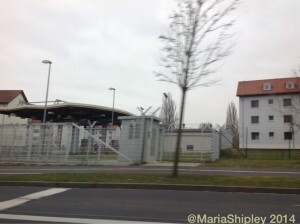 Much has been said and written about the closing of Ledward and Conn Barracks in Schweinfurt, one of the largest U.S. American bases in Germany, which is to be completely carried out by 30 September 2014. 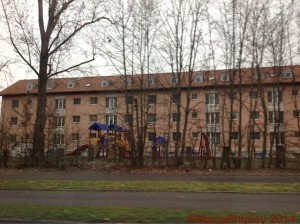 This post is about Askren Manor, the housing which is supposed to get completely torn down. Askren Manor is the largest on-post housing area with 674 stairwell apartments as well as 26 duplexes, all in within walking distance to Ledward Barracks. Other facilities include the elementary school, commissary, school age services, and the child development center. We had spent another weekend in Schweinfurt and on our way home again, we were heading towards Niederwerrner Straße, where we stopped for a photo on the side gate. 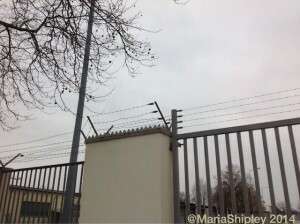 The mesh wire fence has become almost obsolete by now. 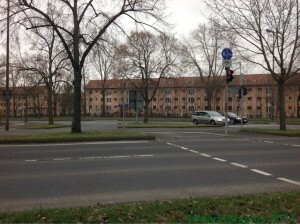 We are approaching the corner of Niederwerrner Strasse and John-F.-Kennedy-Ring. 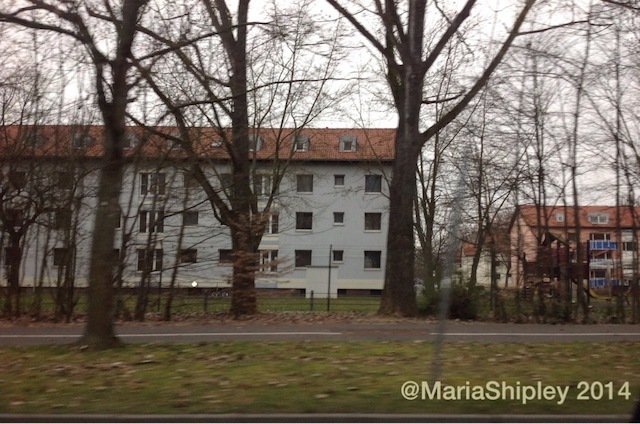 Just passing by some of the buildings on the John-F.-Kennedy-Ring. Too bad we had the Grüne Welle (synchronized traffic lights) and could not slow down, which made some photos a bit blurry. The latest I heard was to turn Askren Manor into a completely new housing development and Ledward Barracks becoming a sister college (i-Campus) to FHWS Würzburg. 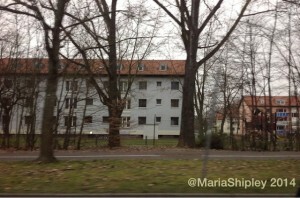 More about the i-Campus: http://www.mainpost.de/regional/schweinfurt/Auf-dem-Weg-zum-i-Campus;art742,8036003 in German. My family and I lived on the 3rd floor of Askren Manor from January-June 1993 . We PCS’d Concurrent Travel, Command Sponsored, on a three year tour. But unfortunately, I developed problems medically, and was honorably discharged on 7 Jun 93 as a Staff Sergeant (E6) with almost 11 years active duty. We had a five bedroom apartment, as we have four children. I remember it very well. The ceilings were slanted on the sides with the full height at the windows only. We’d have to duck down on the sides so we didn’t hit our heads. I also remember it was pretty cold at night when the heaters turned off automatically. It was cold in the morning until the heat kicked back on. When it came to grocery shopping, we were right down the road from the Commissary. We’d have to carry our groceries up those flights of stairs. By the time we were done going up and down the stairs numerous times, we were very tired!! I live next to Askren Manor (or what’s left of it). 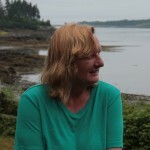 Do you have any pictures or more infos about your stay. I’d be really happy to hear some more of your memories. If you want any pictures of what’s left of the commissary (it’s being torn down just now) or the house you lived in write me a few lines. Thanks.